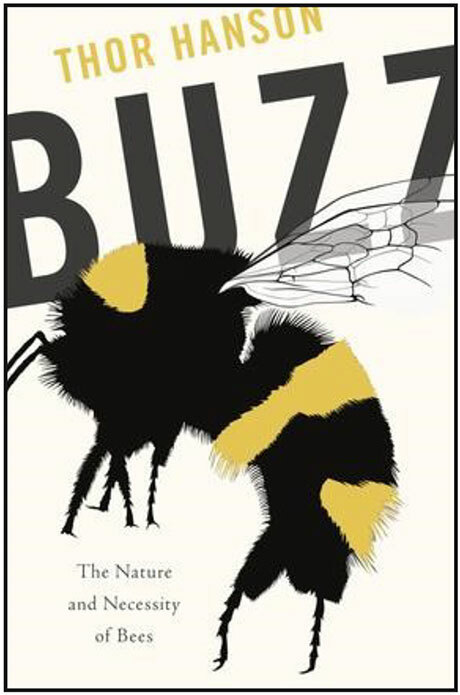 Griffin Bay Bookstore is proud to announce that San Juan Island author, Thor Hanson, author of The Triumph of Seeds and Feathers, has won his third Pacific Northwest Booksellers Association award, receiving the 2019 PNBA award for BUZZ: The Nature and Necessity of Bees. Please join us at the San Juan Island Library when Griffin Bay Bookstore presents the prize to Thor Hanson on Wednesday, March 27, 7:00 pm. Following the award presentation, Thor will regale us by talking about BUZZ and all things bees. From honeybees and bumbles to lesser-known diggers, miners, leafcutters, and masons, bees have long been central to our harvests, our mythologies, and our very existence. But for the past decade, resounding alarm about dwindling bee populations has often seemed to drown out the humming of the bees themselves. We know bees are special, but few of us can say much about why. In BUZZ: The Nature and Necessity of Bees, conservation biologist and winner of the 2019 PNBA award, Thor Hanson takes us on a journey that begins 125 million years ago, when a wasp first dared to feed pollen to its young. Evolving alongside flowers, bees drove the vast array of floral colors, shapes, and scents that populate our landscapes. The human interaction with bees took root deep in our prehistory, when early hominins sought out the sugary blast of honey at every opportunity. Bees helped spark an agricultural revolution, as we carried hives from field to field from the Ancient Nile to Europe to rural America. They enabled advances in medicine and industry, and have given us crucial insights into everything from decision-making to addiction to architecture. To know the bee isn’t just to understand a fascinating and beautiful insect: it is to glimpse a profound web of relationships, great and small, that binds together the human and the natural worlds. As he crisscrosses the continent to interview the leading researchers, farmers, and beekeepers, Hanson reveals the wonder that comes from studying bees up close. He starts at The Bee Course, a workshop for conservation biologists taught by the eminent bee expert and American Natural History Museum curator Jerry Rozen. Later he interviews nutritional anthropologist Alyssa Crittendon, whose work has transformed our understanding of the role of honey in the diet of early humans, and Seán Brady, a Smithsonian researcher studying the complex social organization of bees. Weaving together culture, science, and history, Hanson sets the stage for understanding the modern plight of bees, from pesticides and colony collapse to climate change. In the book’s final section, he accompanies pollinator specialist Eric Lee-Mäder on a visit to a California almond grower who is working to rehabilitate local bees. As Hanson explains, in recent years scientists have made strides in understanding the threats faced by bees. Almost miraculously, these remarkable insects seem to be receptive when serious efforts are made to revive them. 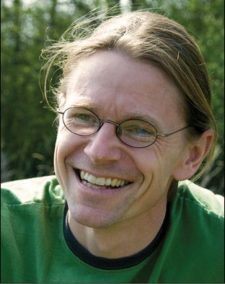 Thor Hanson is a conservation biologist and Guggenheim Fellow. He has studied Central American trees and songbirds, nest predation in Tanzania, and the grisly feeding habits of African vultures. His previous books include The Triumph of Seeds, which won the Phi Beta Kappa Award and the Pacific Northwest Book award, and Feathers, which won numerous awards including the 2013 John Burroughs Medal and the 2012 AAAS/Subaru SB&F Prize for Excellence in Science Writing. booksellers, publishers, authors, and librarians, and just recently announced the winners of the 2019 Northwest Book Awards. The awards are selected by a committee of independent booksellers from Washington, Oregon, Idaho, Montana, and Alaska. From more than 400 nominations written or illustrated by creators from the Pacific Northwest and published in 2018, the committee chose six recipients, one of whom was Thor Hanson. The Pacific Northwest Booksellers Association, a trade association of independent booksellers, publishers, authors, and librarians, announced the winners of the 2019 Northwest Book Awards. The awards are selected by a committee of independent booksellers from Washington, Oregon, Idaho, Montana, and Alaska. From more than 400 nominations written or illustrated by creators from the Pacific Northwest and published in 2018, the committee chose six recipients, one of whom was Thor Hanson.